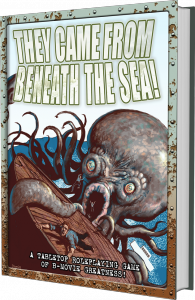 DriveThruRPG is currently throttling their access as they recover from their server migration. So if you can’t get through to them right now, please try again later. 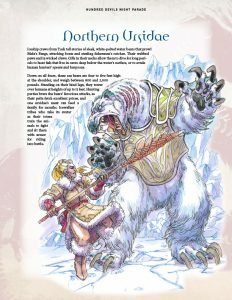 Now available in PDF from DriveThruRPG: Hundred Devils Night Parade: Northern Ursidae and Forest Strider and Adversaries of the Righteous: Ninegala, Forge Goddess of Makelo for Exalted 3rd Edition! Also available: Monarchies of Mau Community Content Assets for Canis Minor! 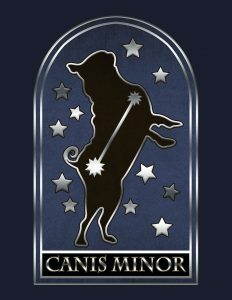 Canis Minor is our imprint that allows you — our Pugmire community — to create and sell self-published material for the Pugmire and Monarchies of Mau roleplaying game. You can offer your work for free, set a price, or make it pay-what-you-want. We’ll give you some resources to help you out, and a marketplace for other Pugmire fans to use. A selection of artwork from both the Monarchies of Mau core rulebook and early access edition. A basic template to help you create Monarchies of Mau compatible PDFs. The page order for the Forest Strider is incorrect. The credits page was inserted in the middle. It’s not a big deal, but I figured someone would want to know to fix it. Uploaded a fix for it yesterday afternoon.